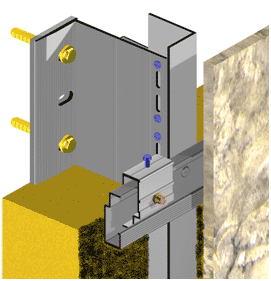 FIX – rivet – MVFThe hide anchors system consist in fixing the plates to the aluminum sub-construction by the anchors. There are double sub-construction: the main sub-construction is the vertical one. There are also the horizontal profiles which are the auxiliary ones on which the extended anchors carry the plates. The plates must have minimum 10mm thickness.